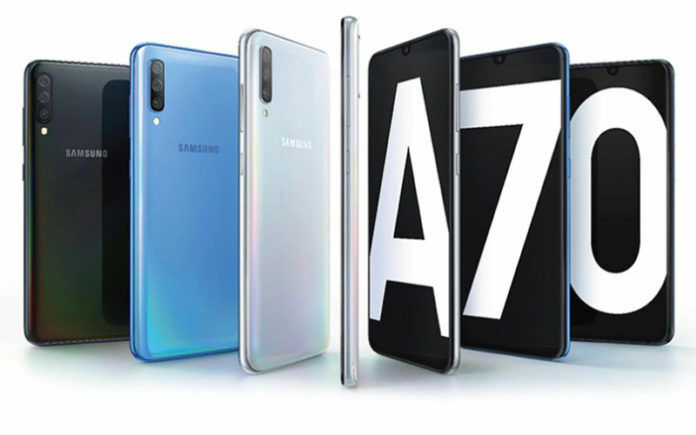 Samsung has sent out a press release announcing that it has launched the Galaxy A70 in India today. The Galaxy A70 comes in only one configuration in India (6GB RAM + 128GB storage), and it is priced at INR 28,990. The device will be available for pre-orders from April 20 to April 30, and it will go on sale starting from 1st May. People pre-ordering the Galaxy A70 will get the Samsung U Flex (wireless earphones) worth INR 3,799 for INR 999 only. 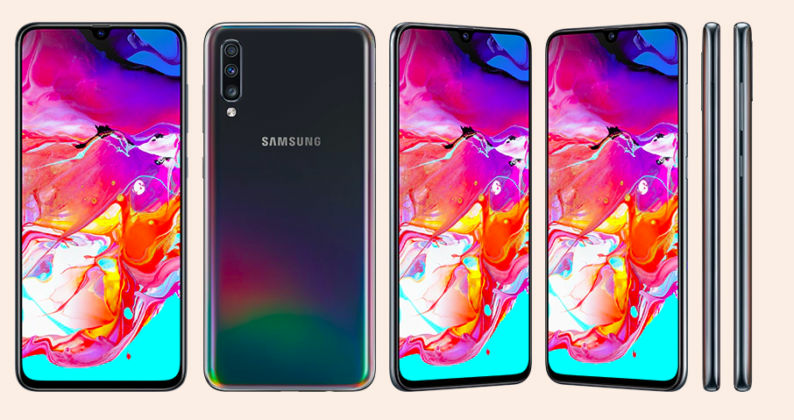 The Galaxy A70 can be pre-ordered (or purchased) from Flipkart, Samsung e-Shop, and Samsung Opera House. Currently, there is no information regarding the offline availability of the device. 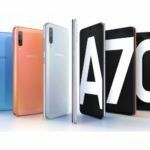 Let us now have a look at the Galaxy A70’s specifications. 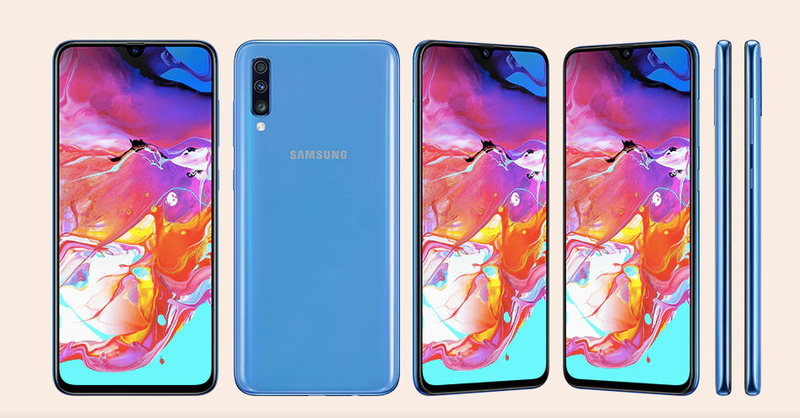 The Samsung Galaxy A70 features a 6.7-inch Super AMOLED display with Full HD+ resolution. The display, as you might expect, features a U-shaped notch. 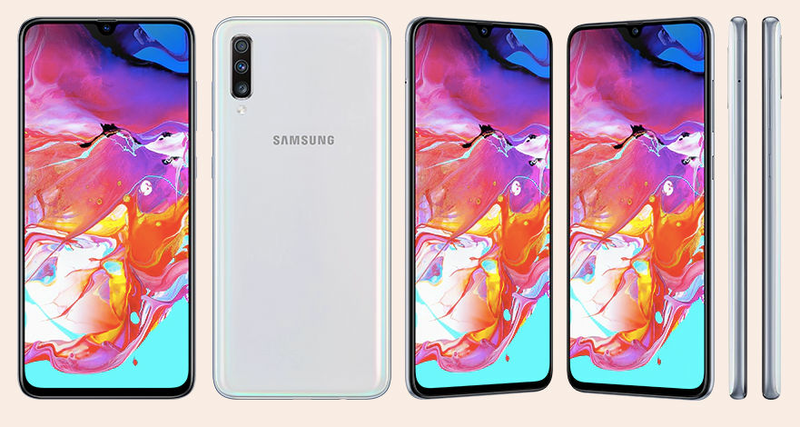 The interesting part, however, is that the Galaxy A70’s screen has an in-display fingerprint scanner, just like the one in its sibling, the Galaxy A50. We reviewed the Galaxy A50 and found that its in-display fingerprint scanner to be utterly slow. 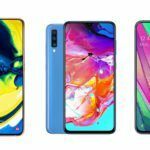 We hope that’s not the case with Galaxy A70, else, it will spoil the overall user experience. 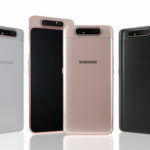 Samsung hasn’t mentioned what kind of display protection does the A70 has, but considering that A50 comes with Corning Gorilla Glass 3, the A70 should have the same, if not, something even better such as Corning Gorilla Glass 5. Most Samsung smartphones in the low-end and mid-range price category come with in-house chipsets, which deliver slow performance. 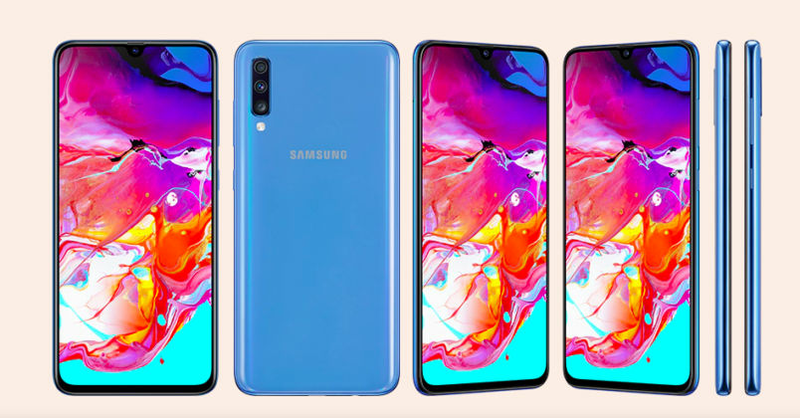 The Galaxy A70 is different though. It comes with the Qualcomm Snapdragon 675 SoC. And this chipset is significantly more powerful than Exynos chipsets that are in other low-end and mid-range Samsung smartphones. The Snapdragon 675 has an octa-core CPU (2 big cores + 6 small cores), and Adreno 512 GPU. As I mentioned earlier, the Galaxy A70 comes in only one configuration, and it has 6GB RAM + 128GB storage. There is also a dedicated microSD card slot. 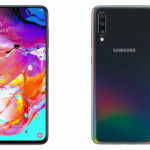 As for the software, the Galaxy A70 comes with Android 9 Pie operating system. As you might expect, the OS has Samsung’s One UI customization over it. For the price, the Galaxy A70 offers pretty good camera hardware. There is a 32MP + 8MP + 5MP triple-camera at the back, and a 32MP camera at the front. 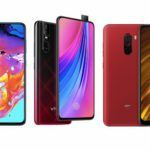 Among the three cameras at the back, the 32MP camera is the primary shooter, and it has a conventional FoV; the 8MP camera has an ultra-wide FoV, and the 5MP camera is a depth-sensor. As for the video recording, the rear camera can do 4K videos, whereas, the front-facing camera, as you might expect, can record Full HD videos. One of the best features of the Galaxy A70 is that the device packs a massive 4500mAh battery. There aren’t many smartphones in this price range that have a battery capacity as such. What’s even better is that the device comes with 25W Super-Fast charging. No other smartphone under INR 30,000 has a 25W fast charging; most of them max out at 20W charging speed. The Galaxy A70 has up-to-date connectivity options, such as USB Type-C port, Bluetooth v5.0, dual-band Wi-Fi ac, and dual-4G with dual-VoLTE. 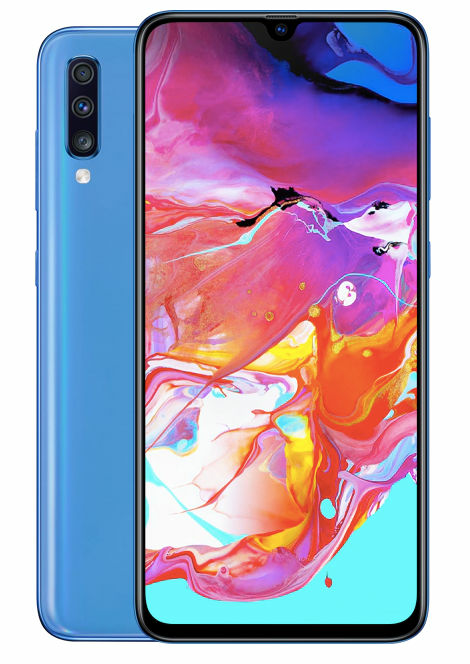 Unlike many upper mid-range smartphones, the Galaxy A70 has a 3.5mm audio jack.